One of my favourite cycling routes is along the road which runs from Križ Lindarski to Žminj. I like it because it’s quiet and scenic – and not too hilly. It passes through patches of forest and along freshly tilled fields. 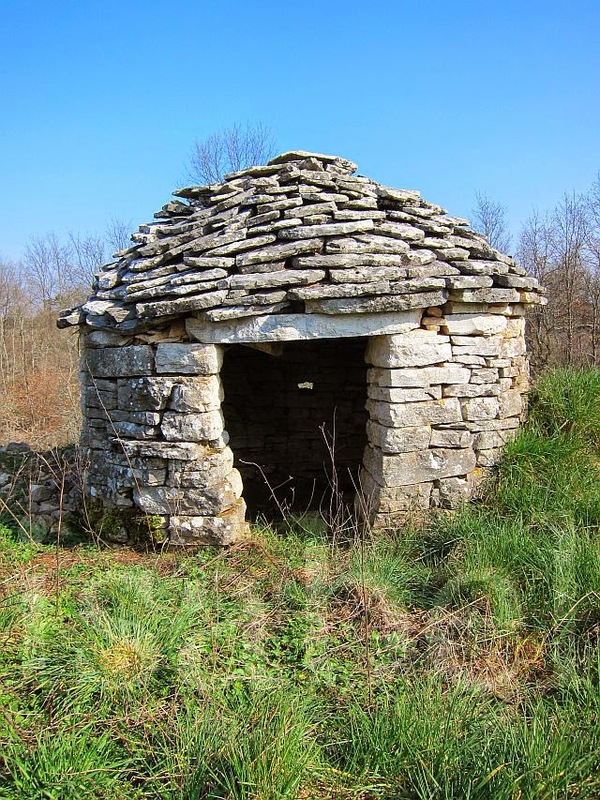 Along the way I pass a kažun, a small stone structure which is typical to Istria. Found on the edges of fields, kažuns used to be used for shelter during rainstorms when people were out working their land. This kažun I photographed is found close to the road in the village of Katun Lindarski, on the road to Žminj. Kažuns are typically cylinder-shaped with low open doorways and are made of dry stone walls, which means no mortar was used to hold the stones together. This technique was also used to build dry stone walls which separate fields – sometimes kažuns are built into stone walls. 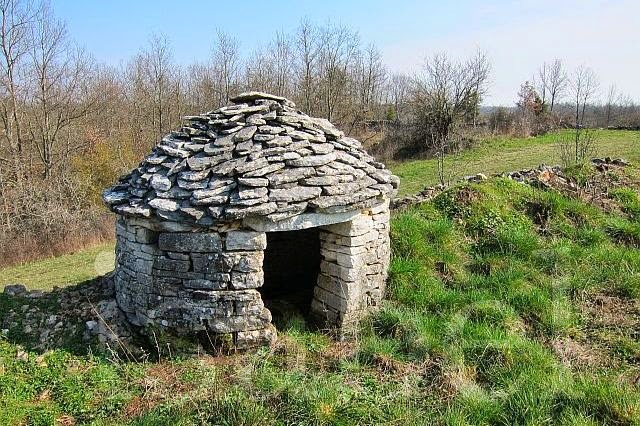 Apparently these small stone shelters date back to the Roman Empire, and similar structures can be found in other parts of southern Europe. There are many examples of kažun still found scattered around Istria and they’re a common sight on country roads. The fact that many are still standing is proof that they were remarkably well-built. Miniature kažuns are a popular souvenir. I had no idea these existed! That's so neat! I love the little ornaments as well. I can just imagine how beautiful the landscape must be on your bicycle route,... dotted with historical structures like these. It's profoundly amazing the aptitude and engineering genius of the builders of old. 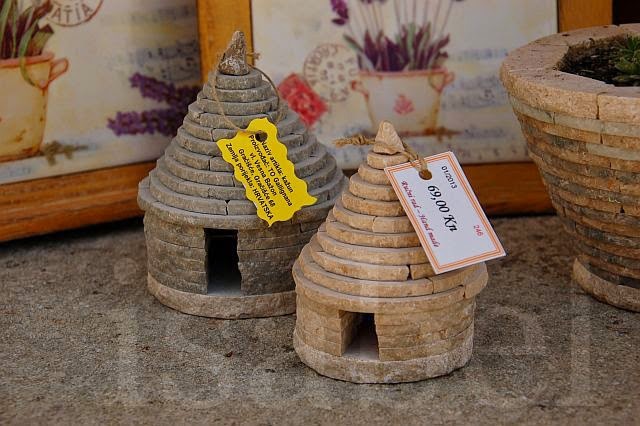 These little houses are very similar to the ones in my hometown Alberobello, they are called trulli though.